HOW I DECORATED MY WEDDING! My friend [and Common Room mother] Roma said it best when she declared, "I don't have a dream wedding. The only dream is that I get to decorate it." 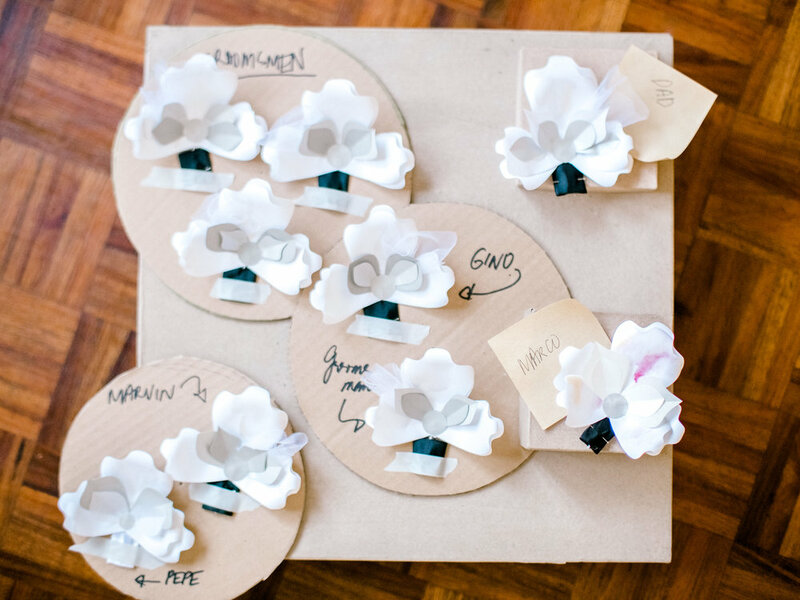 When I started my paper flower business a few years ago, I had always imagined I would to decorate weddings. It was a scary idea, of course. I am a workforce of one, and I never actually knew if it was possible. My friends Kayleen and James, had asked me to decorate theirs in 2016, and the most I had to do was table settings, and bouquets for the entourage. I had also done several bouquets for my friends since then. In this case, everything was up to me, and my then-fiance-now-husband, Marco. That freedom was both liberating, and stressful at the same time. We finally had a project where we could follow our own pegs and art direction points, but we are also each other's toughest critics hehehe. Here's how we did it! I want to begin by explaining why decorated it ourselves. The task isn't for everyone, and everyone told us not to do it hahahaha. But weddings are so expensive! We thought it was the one way we could save a lot. I'm sure it would have been way easier to get someone else to execute our ideas, but this was a way we could make it work. We also like to make things! We met as production designers, and in everything we do, we try to make things ourselves - whether it's our clothes, our accessories, our furniture. We don't always work together on projects, but we do end up helping each other. In a way, we made the choice to decorate it ourselves so we could save money, but at the same time, how could we not? A lamp we made for Labrador Factory Philippines in 2015. 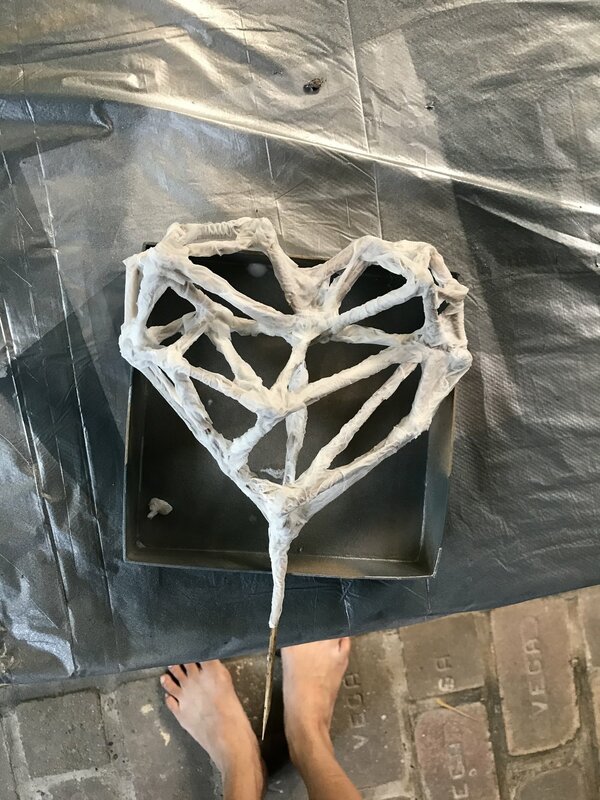 This was one of our first times to work together, and most of our ideas to do so again are offshoots of the materials and methods we used here. We put together a bunch of pegs for what we wanted to make. In the end, we ended up repeating "GEOMETRIC DARKNESS" and "WHITE" every time suppliers asked us about this. We knew there would be paper flowers in it, of course! And we also wanted it to be dark, moody lighting - nothing too bright or colorful. We stuck to those elements. This is my favorite photo of the room, because it's exactly how I wished the lighting looked like. It was a bit brighter in person, which was nice as well, but I wanted it to look a bit more electric. 1. Make a list of what you want to make. Make a work plan! After finishing up a few projects [and some idea procrastination haha] I started mapping out a craft plan in December. Our wedding was in February. To start, I made a list of everything I had to make - all the flowers and paper crafts. Within each area of the wedding, I broke down the list of crafts. This next chart of crafts has the same content as the one above, but crafts that are alike are now grouped together. The first half has all the paper flowers I needed to make [almost 1000! ], while the bottom half lists down the other crafts in smaller quantities. I also put how many days I thought each part would take. The entire project would take 23 - 30 full days of crafting, and I had to finish by January 27. Our wedding was on February 23, but I also wanted to allot time for troubleshooting, wedding errands, moving into my new home, and packing the crafts for turnover. We were also going to attend another wedding on January 28, and we would be flying out to a different city for it. My plan was to finish everything before that trip, and just focus on wedding organization when I got back. I should also add that these lists include only my craft tasks for the wedding. Marco's part was to make the chandeliers, the panels surrounding the venue, and the geometric figures that I put flowers on, for the reception tables. He made the chandeliers and panels on the week of the wedding hahahaa annoying. For the geometric figures though, I did have to request to have it done and painted by early January, so that I could finish them off with flowers. 3. Put it in a calendar, and follow it! Since I also didn't have that much time, I prioritized: It was most important to me that in the reception, there would be flowers on the tables, and that my entourage would hold them when walking down the aisle. I put those flowers in my first bunch of tasks. 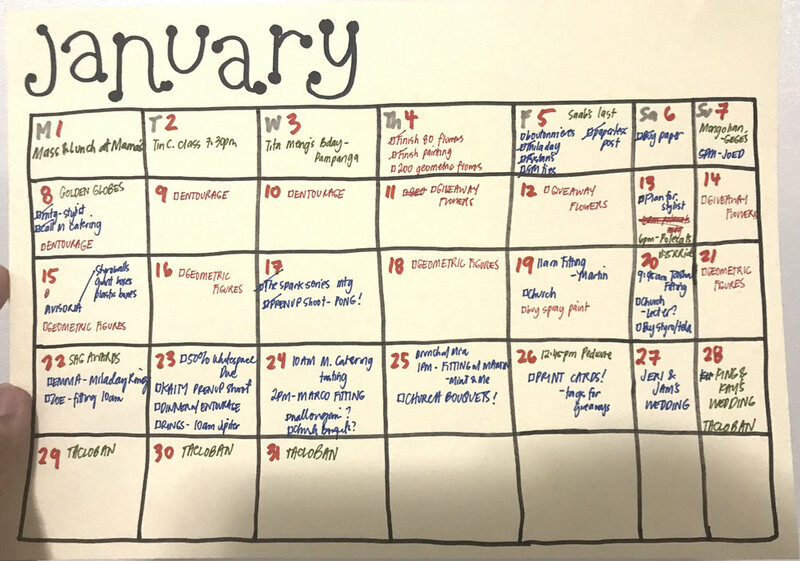 Here's what my January-February calendar looked like. Click on each month to enlarge. Wedding decoration tasks are in PINK. Wedding errands in BLUE. Non-wedding events are in DARK GREEN. You can see what took up a lot of my time and when. I tried to finish as much of the crafts as possible early in January. This proved to be the right thing to do as most of the wedding errands [that were not craft related] poured in at the end of January, and onwards. :: Find what you can outsource - and outsource it. 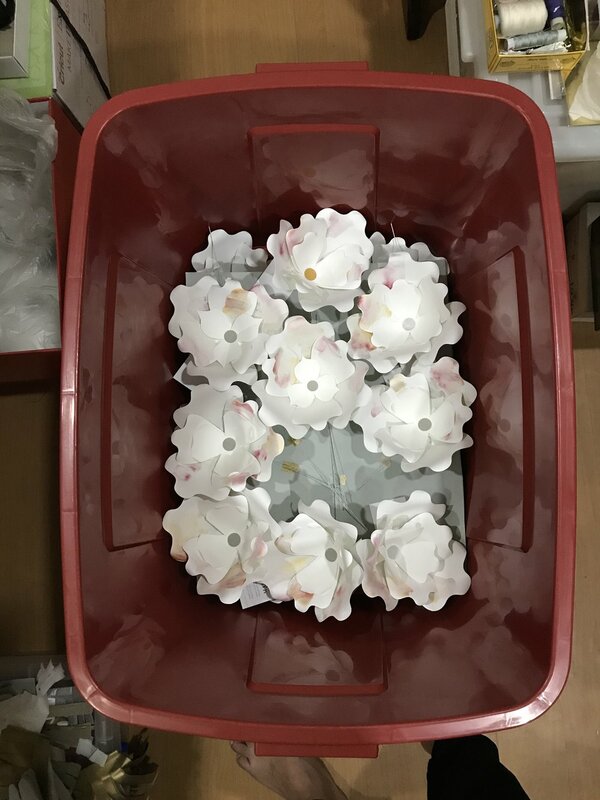 I realized I was going to make almost 1000 flowers of the same size, so I had these petals cut from a printing supplier. That helped a LOT. While I waited for the petals to be cut, I made other crafts, or finished other errands. Cutting was done in December, so I was able to organize my action plan then, and start in January. :: Give yourself daily quotas of what needs to be done. Give yourself time for packing the items carefully [sometimes I need days for this!]. Give yourself a budget to pack the crafts carefully, too. Give yourself days for troubleshooting, or making up for daily quotas that were not met. You will need these, especially because errands will start to multiply and give birth to more errands, as the wedding draws nearer. :: Know how you work well. I work better when I work all through the day [and night!] doing the same thing. So I allotted days where all I would do are the crafts. Wedding planning will demand your time outside of the house, so I put all the out-of-home tasks on the same days. :: Give yourself time to rest! I can work well when I work 2 days straight with little sleep, but I have to sleep in on the 3rd day. I tried to work this in to the schedule as well. In my years of paper flower making, I have realized that half the job is packing the crafts right, so that transport doesn't damage them. Allot a budget for packaging [mine was almost 1/3 the whole crafts budget! ], and allot time for you to actually pack it. This may take from a few hours, to a couple of days, if you're working with larger volumes. The worst thing would be for you to make everything so beautifully, and have it damaged when it gets to the venue. My main tip for packing is that it's not only a matter of putting the craft into a box, but also of fastening the craft into the box, and making sure it doesn't move around. This can mean, you have to tape the flowers down on the bottom of the box. In my case, I taped down the geometric figures, and shook each box to make sure it wouldn't move around. Washi tape is best for taping down paper or wire items, as it comes off easily, and doesn't damage small crafts. If your item is heavier, you may need thicker and stronger masking tape, as I used for the geometric metal figures. Obviously, I didn't physically decorate the wedding myself :( Hahaha [Though my ideal scenario would have been that we reserved the venue even on the day before the wedding, and that we would have been able to physically decorate it. With ample time to rest, get ready, and be the Bride and Groom the next day! I think Roma did this! How awesome is that! In our case, we weren't able to get the venue for two days, so we did have to turn it over to a stylist.]. Our coordinator [the awesome Joed See Events team], works a lot with a wedding stylist, Kelly, whom she recommended to us for this. We first wrote up an almost-20 page document of instructions, complete with photos of our decorations, diagrams of the venue, etc. This really helped us during our meetings, as we ironed out the details, and made sure we were on the same page. I do recommend making your turnover document as early as possible, so you can clarify with your stylist if you two understand each task in the same way. The night before the wedding, we took care of transporting all the items to the venue for the midnight set up. Marco had the panels and chandeliers delivered, and then I had all the plastic boxes in my house brought over. For after the wedding, however, we asked the coordinating team to transport it back to our homes [We didn't want to think of it anymore! Haha!]. Here are the final products! You may recognize some from the previous photos above. Click on each of them for a short description! 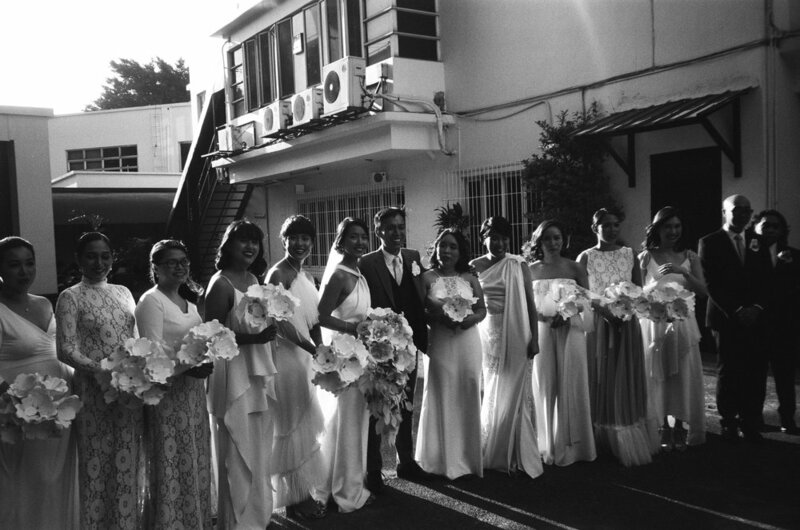 Photos by our wedding photographer, Toto Villaruel. There are things I wished we planned better, for sure - like the lighting estimation, or maybe including draping for the acoustics to have sounded better [or maybe even to have eaten the cake hahaha] - but they're all small things that I don't think would have affected the end result. We had a great day with our friends and family, and they felt our efforts to make the whole event more personal. 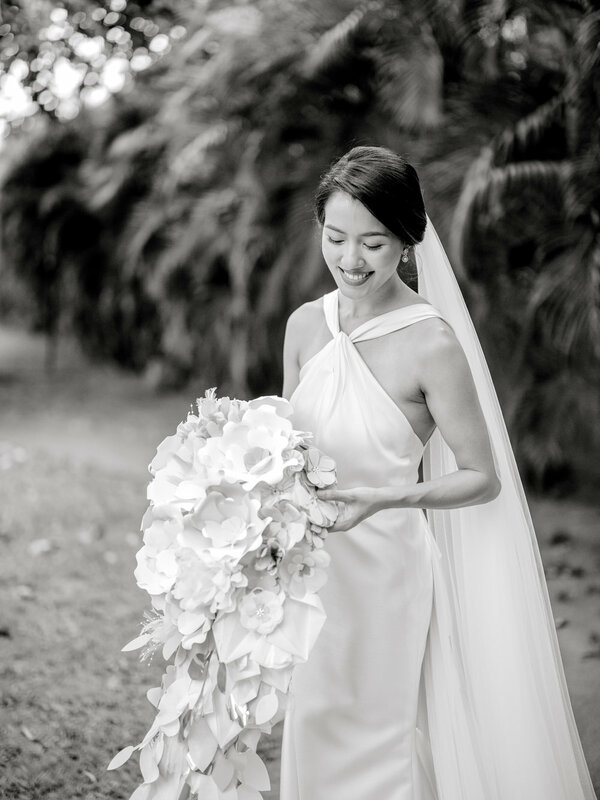 Weddings, especially in Manila, can get really formulaic, and we wanted for our friends and family to feel our presence, despite perhaps not being able to spend a lot of time with each and every one of them on the day itself. I also think it was a good sign that a lot of people tried to get the geometric figures and flowers at the end of the wedding, haha! We didn't pull this off alone. We had a great support system of parents, siblings, friends, and suppliers, that gave us the space to do what we wanted. Right now, I write this in hopes to encourage other brides and grooms to go for what they want in their wedding as well! Whether it's about your decorations, or another part of the whole thing, I hope you're able to make it the event you want it to be.